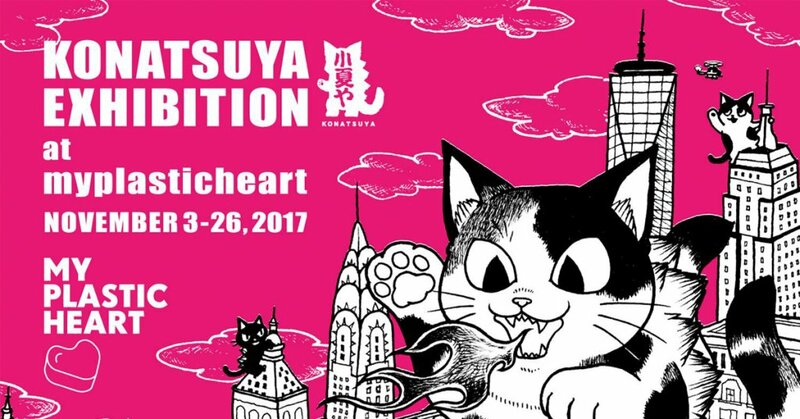 New York standup as Japanese artist Konatsu returns to NYC for another exhibition at Myplasticheart. Expect artwork, custom figures as well as exclusive figures and live painting by Konatsu all under one roof. Save the date and charge your credit cards and take your four leaf clover for some luck in trying to cop the exclusives. Stay tuned the reveals for the show! Trust us its worth it. http://www.myplasticheart.com/ for further info and more sofubi and vinyl goodness.